Beach and nature worshippers would definitely enjoy an adventure vacation to Phu Quoc in Vietnam. This is because the place can be considered as a paradise to those who love bonding with nature—whether enjoying glorious beaches or just simply seeing and discovering the beauty that the environment has to offer— Phu Quoc will surely take your breath away. Although Phu Quoc is a territorial property of Vietnam, its location is nearer to Cambodia compared to the mainland of Vietnam. Originally famous for being an island where all sorts of fish and other seafood have originated, Phu Quoc was able to reinvent itself and now popular as an awesome paradise in Vietnam. What is truly exciting about this place is its an pristine deserted beaches perfect for countless of water activities such as scuba diving. 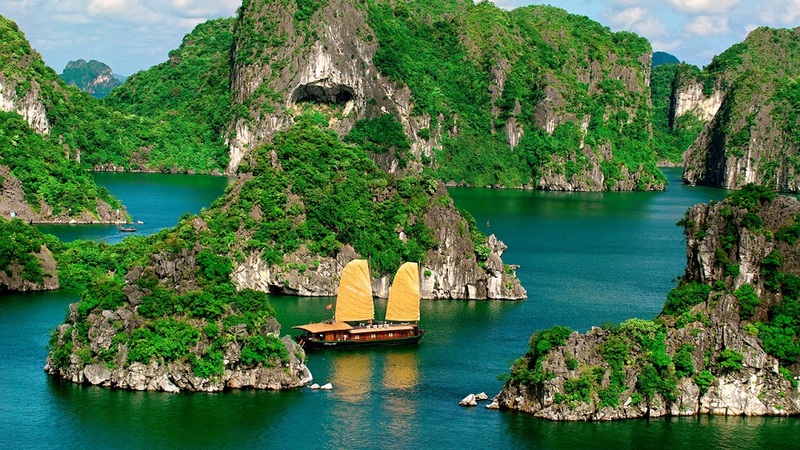 It also features a wide array of jungle habitats and fishing villages that is truly unique to Vietnam. To date, there are less than a hundred mountains that are considered as primitive forests. People are still allowed to use the natural waterfalls but majority them are protected to ensure that they would not be polluted. To give its visitors a glimpse of what Phu Quoc has to offer, 20 percent of the island was designated as a national park. And despite the commercialization and modernization that continues to take place, it will be surprising to find out that the island remains as beautiful and unadulterated. However, before finally deciding to Phu Quoc, you should familiarize yourself with the place first. You can do this by conducting a simple research either through online sites that offer information on the place or by reading up on various travel books and magazines what you need to know about it. Conducting a research is very vital to the success of your vacation because it will give you an idea what to do, where to go, and what to expect from the adventure vacation destination. When you conduct a research, make sure that you include means of getting there, places to stay and accommodation, when is the best time to go, food options, and the activities that you can do. 1. Getting there. This is a very important past of any successful adventure vacation because it gives you a good head start. Getting to Phu Quoc is possible via air and water travel. If you prefer to travel by water, there are ferries available for you from Rach Gia (mainland) and Ann Thoi (south coast) or between Ha Tien and Ham Ninh (central east coast). You can also travel via air by flying in Los Angeles to Ho Chi Minh City and off to Vietnam. 2. Accommodations and places to stay. This is also very important because it will give you an idea how much you need to spare aside from your travel expenses. You can choose from Saigon Phu Quoc Resort and Spa, which is a four-star hotel or the Mango Bay Resort at Ong Lang Beach with earthen bungalows. The prices of which range from inexpensive to moderately expensive. 3. Best time to go. One of the nicest things about Phu Quoc is that is has an incredible all-year round climate. But, if you want to enjoy the best seasons, go there on an adventure vacation from November to May (west coast) or May to September (east coast). Since the places is great for outdoor activities, avoid going there during the October rainy season.